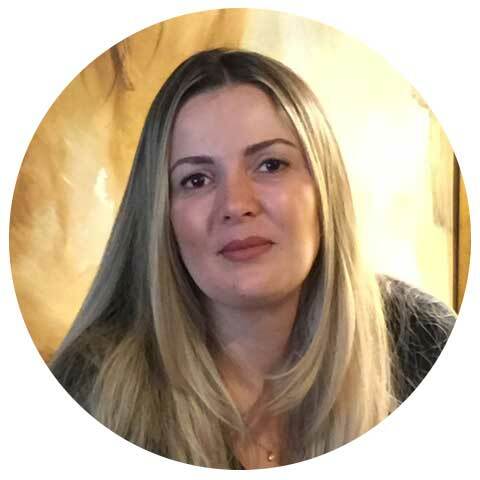 Liliane Daves Esthetics & Massage is the brainchild of Lilian Daves, a Licensed Medical Aesthetician, Massage therapist, Laser technician and Health Coach with a passion for skincare, love for life and dedication towards her clients. If your skin desires rejuvenation, the mind requires reenergizing and/or your body requires revitalization, Lillian Daves can help. At Liliane Daves Esthetics & Massage, We are to ensure you have a healthy mind, body, and soul, We love staying ahead of the industry, combining new technology with evolving massage and skin care techniques to give you the best services. We not only want to ensure you look your best but you feel your best to. That is why we practice integrative massage therapy as well. In essence, we combine elements of numerous massage techniques and combine them into one. This allows us to meet your needs, no matter how different, unique or challenging they may be. With our massages, we will help alleviate your pain (including chronic pain), expedite recovery, reduce stress, eliminate anxiety and depression, enhance sluggish circulation and lymph drainage, and so much more. We want to help you look and feel better. As a person interested in the connections we make between our emotional and physical sides, we want to help you tap into your emotions through your body. We want you to work with your body and emotions to become better. Our staff is composed of highly trained and experienced professionals, always ready to offer you the best possible treatment! Liliane Daves, graduated as a massage therapist from Hesser College, specializing in lymphatic drainage for post-surgical treatment; also graduated as Aesthetician from Catherine Hinds Institute of Esthetics in Massachusetts, even graduated at Health Coach from IIN, Institute for Integrative Nutrition School, NY. With a new perspective on aesthetics, she worked with numerous employers with who she won a vast library of knowledge and experience, particularly in clinical facials. Specialized in many new facial techniques, she likes to try various methods, combining them to create effective and affordable treatments such as their facial ultrasound techniques. More than a licensed esthetician, she is certified to use lasers for facial applications, including the use of intense pulse light (IPL) for numerous medical procedures spa. Combined with its extensive experience in cosmetic skin care regime prescriptions. Dr. Vuich graduated from Tufts University in 1988 and Tufts University School of Medicine in 1992. She began her career in Internal Medicine in 1996 upon completion of a chief medical residency. She has a full time nonsurgical aesthetics practice in Windham, New Hampshire which she opened in 2006. Dr. Vuich is frequently asked to train other physicians in injection technique as well as MediSpa business strategies. In addition to common MediSpa services such as botulinum toxin and dermal filler injections, she specializes in Platelet Rich Plasma procedures, Laser Resurfacing, Tattoo Removal, Medical Microneedling, Kybella injection, Skin Tightening, Cellulite treatment, Laser Body Contouring (SculpSure) and Medical Grade Skincare. Ready to look and feel younger, fresher and revitalized? Call me at (603) 218-3875 or book an appointment online now. © 2018 LD Esthetics All Rights Reserved.